Earlier this year, we partnered up with the guys over at Quantum Long Driving due to our passion for golf and sport in general. Through this initiative we had a few chats with the guys as well as received some training on the art of going long. The series has drawn much praise and has risen from strength to strength over the year. At the recent event held at Kimiad in Pretoria, league founder Gerhard Coetzee pulled off the unlikely and won with a drive of 385.4 m. I sat down with the the man fast becoming legend in long driving circles and chatted all things Quantum. All Things Jabu (ATJ): HI Gerhard, good to chat to you again, first and foremost congratulations on your win at the latest Quantum event. How do you feel about it? Gerhard Coetzee (GC): Thanks Jabu! Well, quite surprised to be perfectly honest. 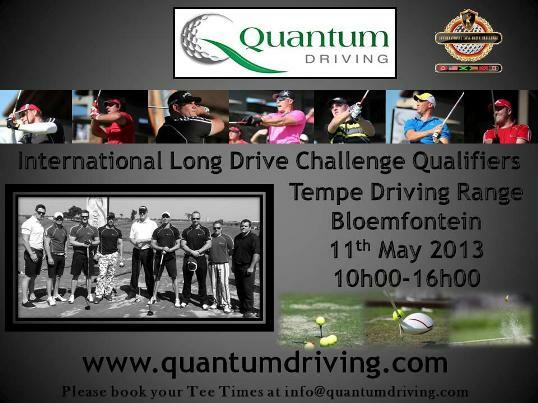 I have not won a Quantum Long Drive Challenge since 2011. The best I could muster in 2012 was a 4th in Mexico at the ILDC. All the behind the scenes work at Quantum leaves me with little time to hit the range! I have to fit in my gym workouts at 5am to at least stay as strong as the younger guys! But I guess that’s what makes this sport so incredible and in the same breath, so challenging; if you are anywhere close to the top 10, then you have a real chance of winning. I am just happy that I got a good day in the office again! ATJ: Fantastic stuff, we are really happy that you won! Looking towards the next event in Bloemfontein, do you think you can reproduce the form and take another victory? GC: Bloemfontein has never been my best hunting ground. I believe I have three second places there in previous events, but I never seem to be firing on all cylinders. I’m definitely hoping to change that! ATJ: Please keep us posted! Exciting developments are happening around Quantum all the time, can you share any of these with us? GC: I am really blessed with an amazing team. People like Matthew Eglinton as well my dynamic wife Erin, play a major role in the new success Quantum enjoy almost weekly now. You know, when I started the Quantum Driving league back in 2009, my best friends told me I was crazy to even attempt it and trust me, it was a lonely road at first. But here we are, three world championships under the belt, a fourth around the corner, the biggest, strongest and most talented bunch of athletes competing in South Africa and our other countries. We are making great inroads in finding long drive talent among the women, seniors, and even the junior leagues that are really taking off. I don’t want to reveal too much just yet, but suffice it to say that we are working with the best media crew in SA to produce the best golfing television available not only locally, but internationally. The concept is being launched here, but will be syndicated internationally soon. Golfing television will never be boring magazine shows again! We will start filming now during May. ATJ: That is exciting stuff and we will definitely post a bit about it here on All Things Jabu. You mentioned now the other countries that Long Driving is competed in, how do you think we fare in terms of International quality in our Long driving in South Africa? GC: The reason I started Quantum Driving was because I knew, from personally competing internationally that we have world class athletes. To give you an example: At the first event held at Serengeti in February this year, we had 2 ILDC (i.e. International Champions) and one that was a runner up in 2011. These athletes came in 7th, 9th and 11th places; just showing the amazing depth of talent locally. At any Quantum event you play against not only the best in SA, but some of the best in the world. Also bare in mind that South Africa won the ILDC team event in 2010 against Jamaica and in 2011 against Canada, so yes, we hold our own against the best in the world! ATJ: Doing South Africa proud on an International stage is something that makes us very proud to be associated with you guys. Can you tell us a bit more about the difference between your drivers and the standard drivers used in golf? GC: First off, you would be allowed to use any of our drivers and/or shafts and play the US Masters. It’s all legal and conforming equipment. There are more niche brands, and these are suited to long drive for they are not designed with the amount of spring face that many of the mainstream drivers incorporate. The reason being at swing speeds going beyond 150mph (vs the fastest swing on tour being Bubba Watson at 123mph), those driver faces simply collapse. Also the shafts we use have a high bend, low torque configuration, to try and get the clubface to the ball as pure as possible. These shafts are normally longer than usual by 2 – 4 inches, but the entire club must measure less than 50 inches to be legal. Personally, I have acquired a 5.5 degree Cobra that’s begging to be punished, and I’m fitting that to a Quantum Driving LD shaft. At Quantum we are now producing our own shafts, in my opinion right up there with the best in the world, at much better prices. The first shipment of x-stiff for golfers will be arriving in SA in the near future! Interesting fact though. If a golfer picks up a long drive driver, he will hit it shorter than his course driver, because the LD clubs are significantly heavier, and it takes a lot of training to be able to transfer that extra weight into clubhead speed. ATJ: I can personally attest to that, as my normal drive of about 250m was substantially shorter at first with the Long Drive clubs. 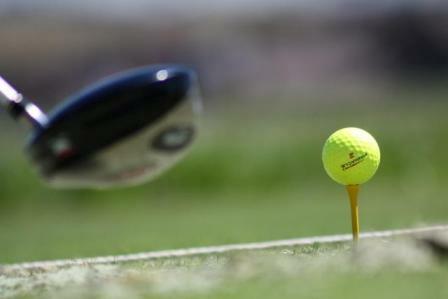 What is the longest drive you have personally hit? GC: My furthest in an official competition was a 415m. There has been downhill drives and drives hit on exhibition days that have been longer. My best ever hit though was a 399 yard drive in Jamaica at sea level, in the team finals of the 2011 ILDC. I had to revert to my usual course driver as I pulled an abdominal muscle in the semi-finals that made my long drive clubs too heavy and painful to hit. I managed to carry on and hit the 399 with my course driver, which was the longest of the day and at least helped our team on its way to defeating a strong Canadian team in the finals. ATJ: Quantum is heading to Bloemfontein this weekend, after this can we expect to see the Quantum guys in other parts of the country? GC: Absolutely. Our strongest base of athlete’s is currently in Gauteng and surrounding areas but Bloemfontein has given us two world class hitters and I believe as we continue to grow, we will continue to discover new talent. 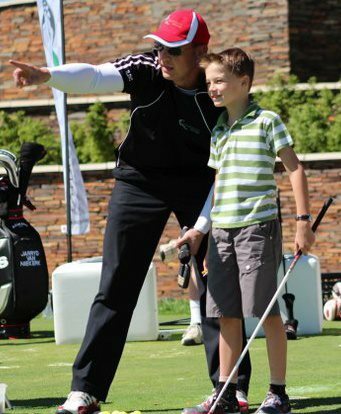 We will host two more Gauteng events in May and June, and then head to KZN for better winter weather. We are discussing hosting a Cape Town event with the Compleat Golfer team. ATJ: Being able to drive a ridiculous distance, you must surely play off a rather low handicap? GC: I’m currently a 6! Amazingly, in times where I hat not yet launched an International Long Drive League and had more time to play, I was a lot lower! Its hard to get to the course even once a month, so its hard to keep shooting low. Normally if I try to play a good score I will leave the driver at home. Golf course design just doesn’t suit the distances we can get and going 2 degrees off course on 400m leaves you on the wrong fairway! The trusty 3 iron consistently lands at 250m, so its really all I need off the tee. 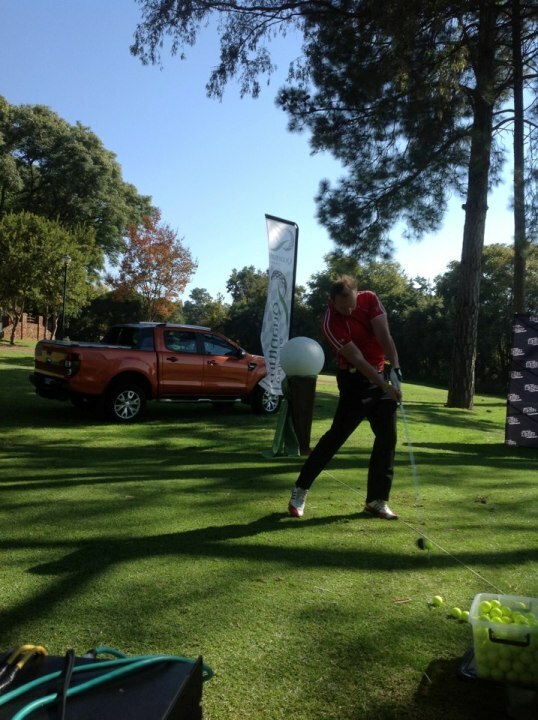 ATJ: The training is very different for Long Drive compared to normal gold, how do you train for long drive? GC: I should be hitting the range at least 3 times a week but my time is very limited at the moment, so most of my preparation happens in the gym. I try to do at least 5 weight training sessions a week, I do a lot of stretching and still continue to practice my martial arts that have been part of my life for 25 years, to keep my speed up. Nutrition is crucial to sustain this regime, so we try to eat well also. 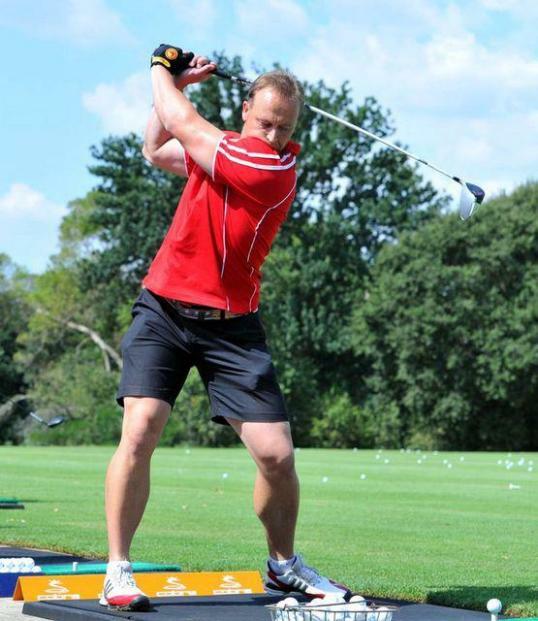 I have played golf for as long as I can remember, so luckily the muscle memory stays fairly intact between events! ATJ: Thanks for the chat Gerhard! Good luck for the next event! GC: Thanks Jabu! Lets hope the Free State boys can perform as well as their Cheetah counterparts in this year Super rugby season! To find out more about Quantum Driving visit them on www.quantumdriving.com, on Facebook or on Twitter.